This is a new team that has been created for younger “riders,” though Tour de Fleece has long been a fun event for spinners under eighteen years of age. 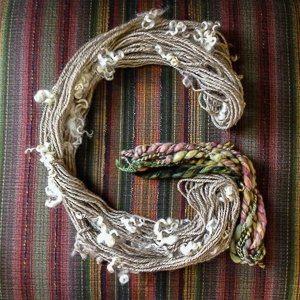 The group Ravelry thread is moderated with its G-rated members in mind. Chain-plied gradient. Photo: Kate Larson. 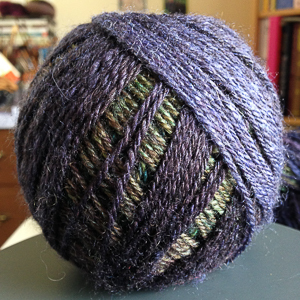 Are you obsessed with gradient yarns and spinning fibers? Interested in learning more about how to make them? The Gorgeous Gradients Ravelry Group is over 8,000 members strong and bursting with projects using gradient yarns. 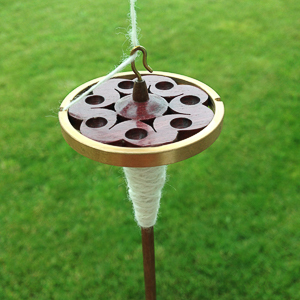 Golding Ring Spindle. Photo: Kate Larson. General tool teams are great fun! 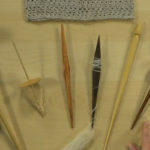 Spindlers love to chat about their favorite new spindles and discuss the types of fibers and yarns that make them sing. However, I will offer this warning—spending time with passionate spindlers discussing their treasures often leads to a series of new spindle purchases. They are addictive, indeed! For further details, visit the Tour de Fleece Ravelry group.